This is the second in a series and further focuses on the extreme nationalism of the Far Right Facebook pages followed by a commenter on our Facebook Page who claims to be “a centre related person”. 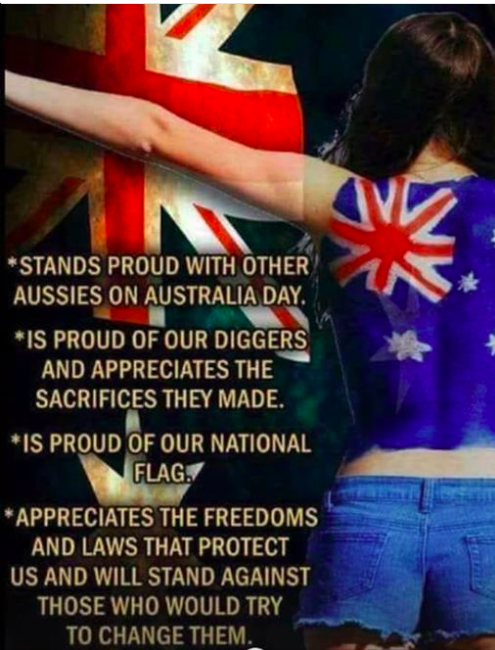 By extreme nationalism we do not mean the type of nationalism that celebrates the diversity of cultures in Australia and recognises Australia’s First Peoples. 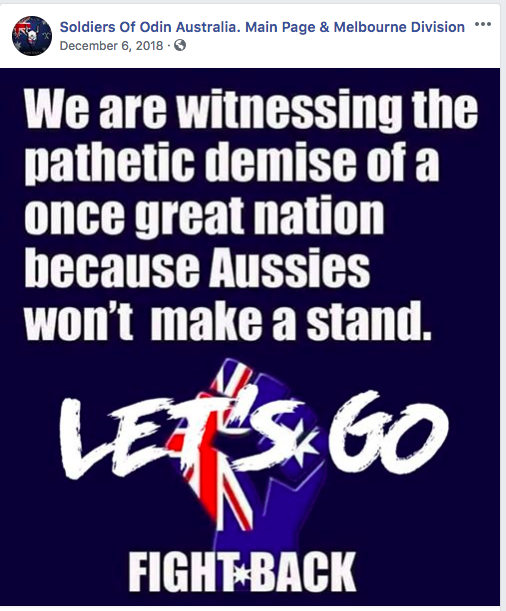 We are referring to a type of nationalism that excludes some cultural groups based on their culture (including religion) being incompatible with Australian culture as previously described in this briefing https://ohpi.org.au/when-patriotism-becomes-nationalism/ Far right groups also attempt to hide their extreme agenda by claiming to be protecting Australia from undesirable immigrants. However, they are also encouraging people to take a stand and “fight back” against unwanted migrants who they claim bring down our “once great nation”. These protests were also supported by this Facebook page. 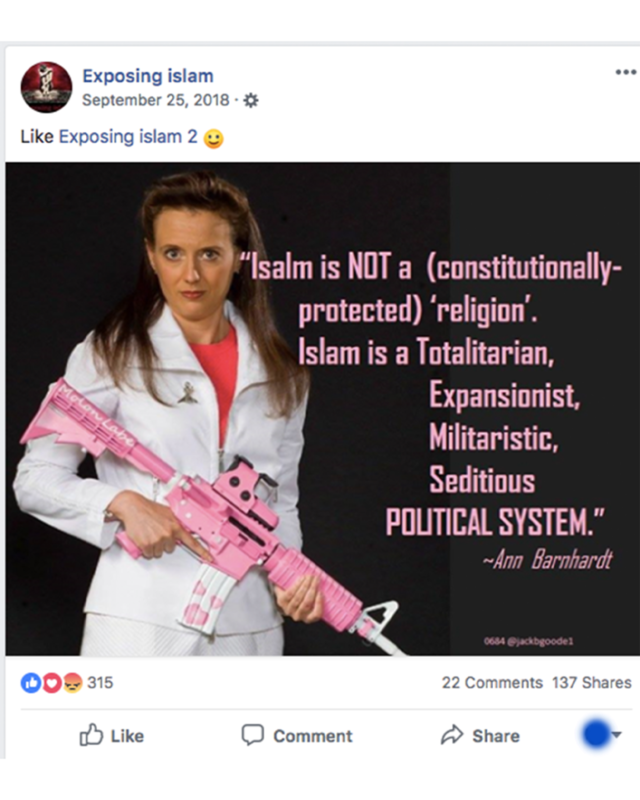 The 89,000 followers of the Exposing Islam Facebook page may share a fear of Islam because of world events that have been linked to Islamic extremists. However, further exploration of this page also exposes a Far Right agenda that aims to exclude all Muslims in Australia. 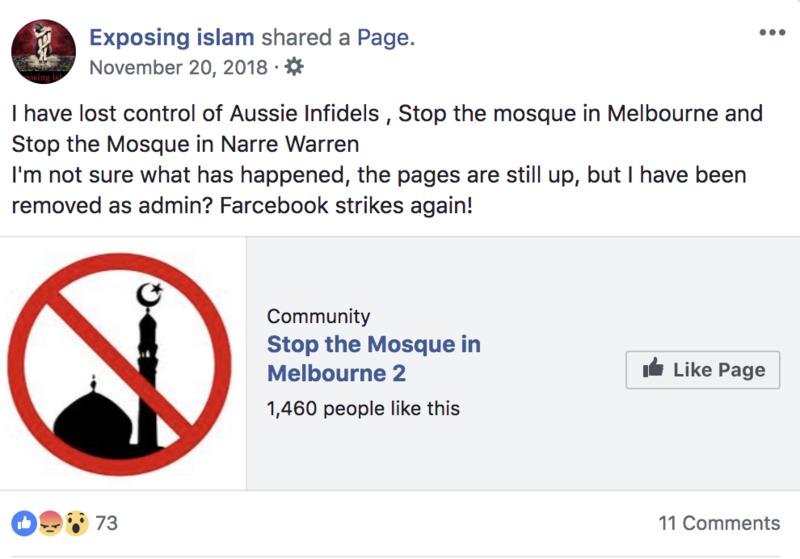 The administrators of this page claim to have “lost control of the infidels” because they have been removed as an admin from pages that are trying to stop the building of Mosques in Melbourne and Narre Warren. 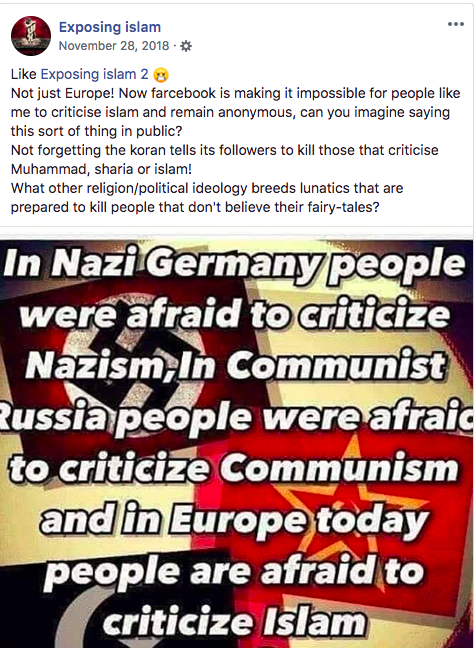 They compare Islam to Nazism and Communism and claim that it is a political system rather than a religion as the following two posts show. This view generalises all Muslims as extremists and does not recognise the diversity of Muslim’s in Australia. 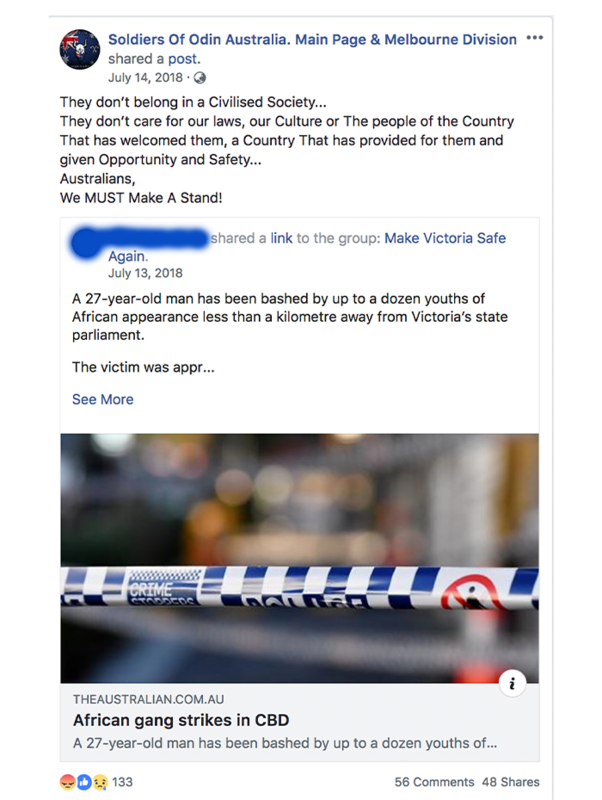 Despite the claim of the commenter in the previous briefing to have views that are centre related https://ohpi.org.au/normalising-far-right-views/ he follows many Facebook pages including the ones described above that as we have demonstrated, actually have extreme nationalistic views and Far Right agendas. We are therefore doubtful about his claim. We believe instead that his claim is an attempt to make his extreme views appear normal.